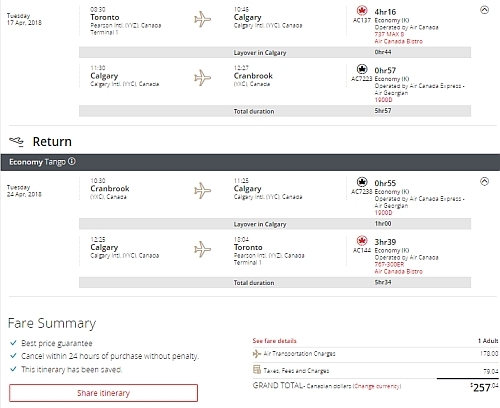 Air Canada is showing some unusually low prices from Toronto to Cranbrook, BC for $257 CAD roundtrip including taxes. You could also use these as one way flights to fly from Toronto to Calgary or Vancouver for $137. Vice versa trips (Cranbrook to Toronto) are also available for $241 roundtrip. Fernie and Kimberley aren't too far from Cranbrook if you're looking to ski/snowboard in the Rockies this winter. Update 2/12 - It looks like these are gone. - look for the dates that are $250 roundtrip. 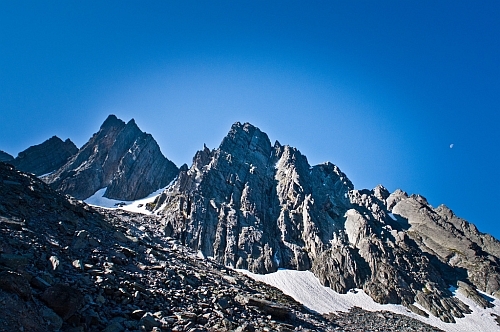 toronto, yyz, flight deals, air canada, british columbia, canada, bc, north america and cranbrook. 2 Responses to "Toronto to Cranbrook, BC (or vice versa) - $257 CAD roundtrip including taxes"
Thanks! I just booked a round trip to Vancouver from Toronto for $257.04 in early June. I've missed Squamish! Never seen a deal so cheap to the west coast or anywhere in Canada from Toronto. If flights were this cheap more often I would actually explore our amazing country instead of flying to Asia etc for half the cost of a flight to Winnipeg. Great job Chris we need more domestic deala like this.